Just over thirteen years ago my daughter was born. I was one of those women who had a blissful pregnancy - not a moment of morning sickness, and truly the most uneventful nine months ever. I may have in fact felt better than ever thanks to a super-pumped immune system. I was feeling pretty damn proud of myself in fact, and of course as the saying says "pride goeth before a fall" - and my fall came during labour and delivery. The blissfulness of my pregnancy did not prepare me for a labour that was, quite frankly, brutal. It began innocently enough, with subtle labour pains. It quickly progressed to vomiting, and then to eighteen hours of excruciating back labour. Now, back labour is like someone smashing a concrete block into your back repeatedly, every few minutes or so. I expected pain in labour but this was a level of pain which stunned me. It was, very simply, agony, and it was exhausting. I was delivering in a small hospital in Red Lake, ON, with excellent nursing staff and a wonderful woman who was not only my doctor but my friend. We had no anaesthesiologist in our town and so no access to epidurals. If my labour went badly I would be medevac'd out to Thunder Bay, or Winnipeg. And while I had the support of my husband and the professionals I was woefully ill equipped for the intensity of the pain I experienced. It was so bad that the only thing that seemed to relieve it was counter pressure on my back, and so I would beg my husband and the nurses to press into my back when the pain became particularly bad. The next day a new nurse was helping me to get ready for a shower, and when my gown slipped off she gasped and asked if I was the victim of spousal assault. Seeing my confusion she took me to a mirror and showed me my back, which was covered with fist-sized black and blue bruises running the length of my spine. The experience stuck with me a very long time, and it is no coincidence the Intrepid Junior Blogger is an only child. And one thing that I kept coming back to was the question as to whether it could have been different - and I believe it could have been. I think my experience would have been different if I had had a birthing team consisting not only of nurses and doctors and my husband but a midwife and doula, too. You see after the experience I did some research and realized that with a larger birthing team I think my experience could have been far different. I think those other professionals, midwives and doulas, can bring some other skills sets and experiences to the table, and I suspect that while they could not have taken the pain away they may have had ideas to mitigate it. And what does this have to do with Fort McMurray, you wonder? Why share this story? Because we have a skyrocketing birth rate in this community, and I think many here could benefit from the experience and skills of midwives and doulas. This coming week the Fort McMurray Doula Association is hosting a screening of the movie "A Mother is Born". I've watched the trailer for this movie, and gone to the website associated with it. You see it's all about how the experience of childbirth can be enriched by the presence of midwives and doulas working in conjunction with the medical professionals. It's about birthing options, and about how women-centred care can make a difference in the birth experience. And I will be there, because I am a bit passionate about this cause, you see. My personal experience has stayed with me even now, thirteen years later, and made me want others to have a better experience than I did. I think this is a conversation we need to have in this community. There are more conversations to be held, too, like our need for a birthing centre, and better supports for breastfeeding, and more support in general for those expecting a child. I don't have fond memories of childbirth, and I wish I did. I am saddened that my blissful pregnancy ended in a traumatic childbirth (which incidentally took me weeks to recover from as I had some physical repercussions from a long and difficult labour as well). I wish my memories were more pleasant, and I will always wonder if it would have been different had I had a midwife and/or a doula at my side. I encourage everyone, whether pregnant or not, to consider attending the free screening this week. You see childbirth matters to all of us, because it is one of those experiences we all have in common. Every single one of us came into the world this way, and I suppose that is why to me it matters so deeply for everyone - because it truly does, in the end, impact us all. I am so happy to have found this article....my last child was born here in Fort Mac and my experience was horrible. labor and delivery only lasted 2 hours...only hour at the hospital. I arrrived and was 4 cm dilated. Compared to my last delivery in Ottawa, the pain was excrutiating because I dilated so fast. They administered an epidural without checking how dilated I was. I pushed the baby out before the epidural took effect...so basically I received one for nothing. The nurse had to deliver my son amd didn't check on me throughout the night, no tylenol was given to me for pain afterwards. No help with breastfeedong either. I am pregnant again and and the thought of delivering at this hospital is really scaring me. Good article. 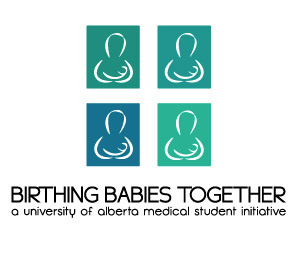 I ended up reading this because I have been scouring the internet looking for a midwife and after repeated 'Sorry but we are busy the month you are due' replies from many midwife agencies here in Calgary, I am getting desperate so started googling the Fort Mac area as my other half currently works there. I am from the UK and had my first child there 10 years ago...in a hospital with a midwife. I am disturbed by the lack of midwives in this country and it really disappoints me that many women in this country will quite possibly have been forced into unnecessary c-sections and horribly long and painful labours simply because there is a serious lack of midwives here. I never thought I would even have to actually find my own midwife! Of course when necessary there may need to be medical intervention but for the majority it's not needed and I can't help but think that this is just a money making scheme through the healthcare system. The more midwives that are employed..the less Obstetricians are needed...therefore costs are less. Midwives have been delivering babies for years (well back in the UK anyway! Over 100 years to be precise) and I have never known it to be any other way...babies in the UK are primarily delivered by midwives and the doctors are just really there as a back up. I'm worried about how my second birthing experience is going to pan out here as I really don't want to be delivered by a doctor.....a midwife will do just fine thanks! Are We Dooming Ourselves on Highway 63?